Each school is allowed a small group in the Honors Choir. Students are chosen by audition. 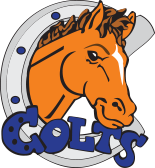 Students from Cuellar, who wish to be in Honors Choir, must be in the Colt Choir, maintain excellent attendance, behavior and academics.